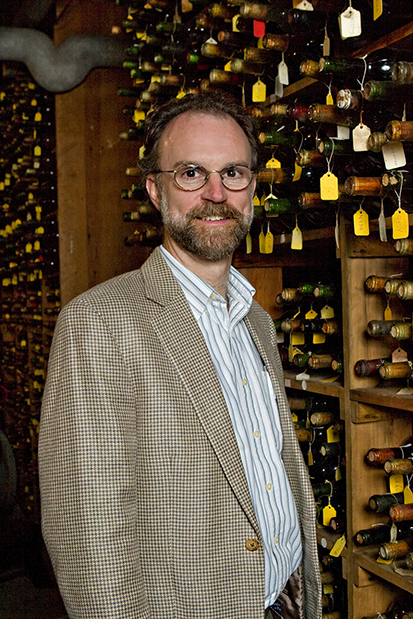 A professor of enology, Waterhouse has held the John D. Kinsella Chair in Food, Nutrition and Health, served as chair of the Department of Viticulture and Enology, and most recently was associate dean in Graduate Studies. He is highly cited in agricultural research and teaches both graduate and undergraduate classes in wine chemistry. Waterhouse will begin his new role on Aug. 1, taking over for Interim Director Jean-Xavier Guinard, a professor and sensory scientist in the Department of Food Science and Technology. Made possible by the generosity of Robert Mondavi, the institute was founded to enhance and celebrate the science of wine, brewing and food. Helene Dillard, plant pathology professor and dean of the UC Davis College of Agricultural and Environmental Sciences, said Waterhouse is uniquely suited to support the mission of the college and institute. Joe DiNunzio, a senior executive with three decades of creative, technical and business leadership, will join the Mike and Renee Child Institute for Innovation and Entrepreneurship as interim executive director, effective July 1. He will lead the institute’s strategic direction, program development, fundraising, and relations with academic programs at UC Davis as well as external partners, donors and sponsors. A Center of Excellence at the Graduate School of Management, the institute serves as a nexus for entrepreneurship education and research and a springboard for entrepreneurial initiatives at UC Davis. It serves more than 2,000 people annually and has helped start more than 50 companies and leverage more than $240 million in funding. The institute organizes the annual Big Bang! Business Competition, which has been helping entrepreneurs start or grow business ventures for almost two decades through the competition itself as well as the workshops and mentoring it offers. DiNunzio has served as CFO and board member for independent game developer Harebrained Schemes; chairman, CEO and co-founder of 42 Entertainment, an advertising and alternative reality agency; and founding CEO of Z.com, a venture-backed digital media studio and network. His corporate experience includes positions at Booz, Allen & Hamilton and Procter & Gamble. An assistant adjunct professor at the management school, DiNunzio co-founded and leads the IMPACT consulting capstone course. He will continue as president of Fido Management, a consulting firm that works with Fortune 500 and early stage companies.